1 Bring the milk to the boil, add the honey and the millet and steep for around 20 min, stirring continuously. 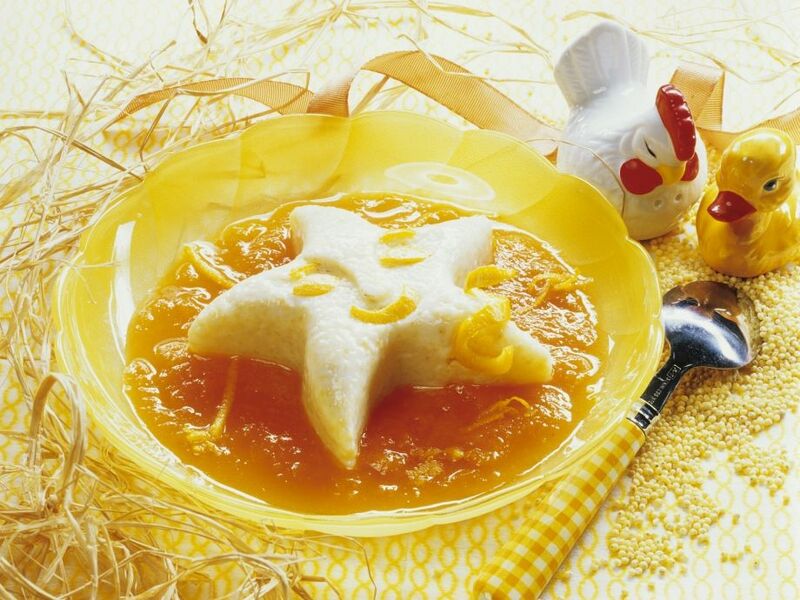 Remove from the heat, stir in the egg yolks and pour into star-shaped moulds. Leave to cool then chill in the fridge for at least 2 hours. 2 Mix together the apricots, orange juice and the honey and bring to the boil. Simmer for 2-3 min, then remove from the heat and leave to cool. 3 Knock the pudding out of the moulds onto plates, pour the sauce around it and serve garnished with the orange zest.